Cambridge University Press, 9781107074996, 196pp. 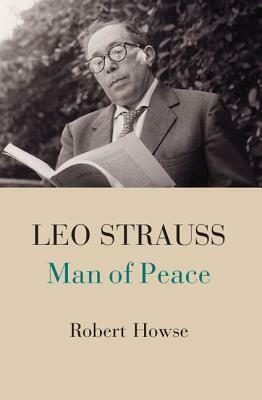 Leo Strauss is known to many people as a thinker of the right, who inspired hawkish views on national security and perhaps even advocated war without limits. Moving beyond gossip and innuendo about Strauss's followers and the Bush administration, this book provides the first comprehensive analysis of Strauss's writings on political violence, considering also what he taught in the classroom on this subject. In stark contrast to popular perception, Strauss emerges as a man of peace, favorably disposed to international law and skeptical of imperialism a critic of radical ideologies (right and left) who warns of the dangers to free thought and civil society when philosophers and intellectuals ally themselves with movements that advocate violence. Robert Howse provides new readings of Strauss's confrontation with fascist/Nazi jurist Carl Schmitt, his debate with Alexandre Kojeve about philosophy and tyranny, and his works on Machiavelli and Thucydides and examines Strauss's lectures on Kant's Perpetual Peace and Grotius's Rights of War and Peace.